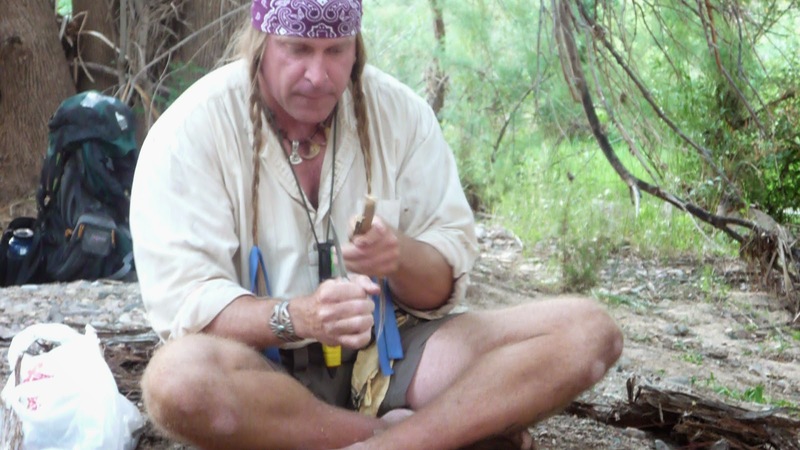 Dave Canterbury of The Pathfinder School and former co-star of Dual Survival shares some of his tips for using a fire steel also known as a ferro rod. Fire steels are my favorite way of starting a fire when in the wild because they can last your entire lifetime, they work even when wet. That being said, there are some techniques that one can use to ensure a successful fire when camping or when in a survival situation. Do you have any tips of your own? Let us know in the comments! Get Dave's new book Bush Craft 101 now! What type of survivalist are you? 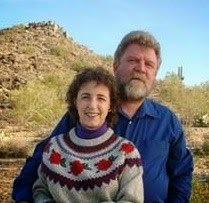 Modern survival is different from primitive living skills, which is different from urban preparedness, which is different from homesteading, which is different from wilderness living or “bushcrafting.” They all revolve around various aspects of self-reliance, just like all of the different doctors revolve around dealing with the human body. ...are trying to get out alive, its short term. Obtaining rescue is the main intention. That means, doing what you can to attract attention. Generally the things you need in a modern survival scenario are shelter, water and fire. In most cases people are rescued in a few days, and in that situation eating bugs and hunting aren't necessary for survival because the human body in general can survival for three weeks without food, but only three days without water. In a primitive living scenario, you are already home, living off the land. There is no rescue. This type of living is generally a way of life. Living off the land like our ancestors did. Making fires with sticks, hunting and gathering, etc. You get the idea. The third type of survivalist Cody mentions is urban preparedness. He doesn't explain it further in the article, but I think what he is talking about is the type of person you see on Doomsday Preppers. The kind of person who builds a bunker under their house, and stocks it full of water, medicine and MREs to be able to survive a major disaster in an urban area for an extended period of time. The next type of survivalist Cody mentions is a homesteader. This is very similar to the primitive living type, except they aren't bound by primitive living per se. They might live in a cabin, with an outhouse in the middle of Alaska. A good example of this is the show Alaska: The Last Frontier. That show follows the Kilcher family in Alaska who are second and third generation homesteaders. The whole show is about them preparing for the next season which means growing and harvesting crops, raising cattle, hunting, fishing and obtaining firewood. Again, in this scenario there is no rescue, it is just a way of life. The final type of survivalist seems to be the most popular which is wilderness living, or bushcrafting. These types of people like to go camping and bring little to no supplies. Maybe a knife or an axe, then live off the land for a few days. They make their fires with sticks or flint and steel, they build their shelters, and they know all of the edible plants wherever they go. After listing all of these out, I'd say I'm definitely a modern survivalist. I like the conveniences of modern living, but I want to have the skills to survive long enough to be rescued if I get lost in the back country. I also never go into the wild without being prepared! So what kind of survivalist are you? Let us know in the comments! A few months ago I did one of the longest geocaching runs I've ever tried near Delta Colorado. Normally I don't go out seeking quick "cache and dash" runs like this, but this one was unique. It was hidden by team Kekj, and they were hiding these to honor all of the local geocachers in the area! Each cache is named after a local geocacher, and they named one after me! 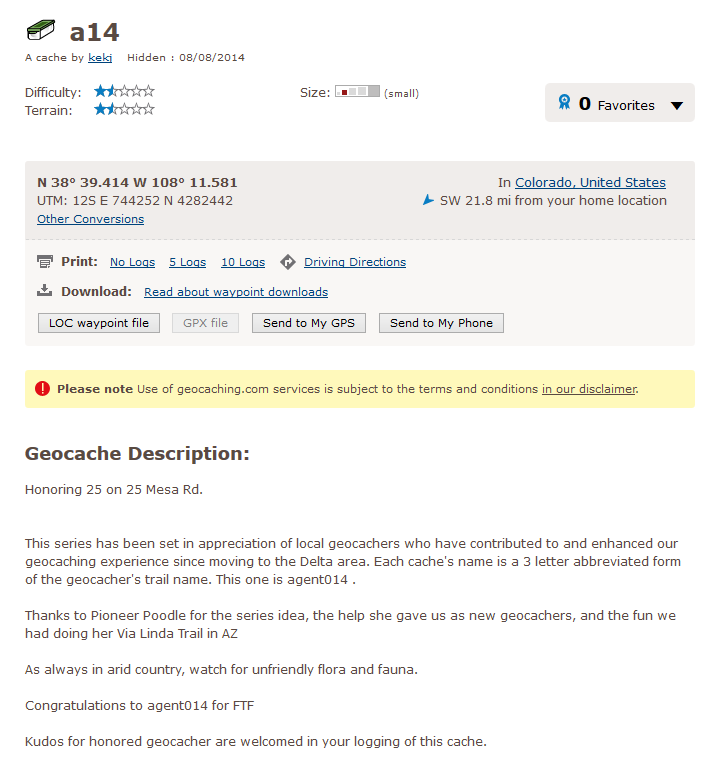 To be honest, the only really special thing about these caches are that they are named after local geocachers. Otherwise they are easy to find, and their little containers aren't all that special. Still, though it was a fun run for the numbers! 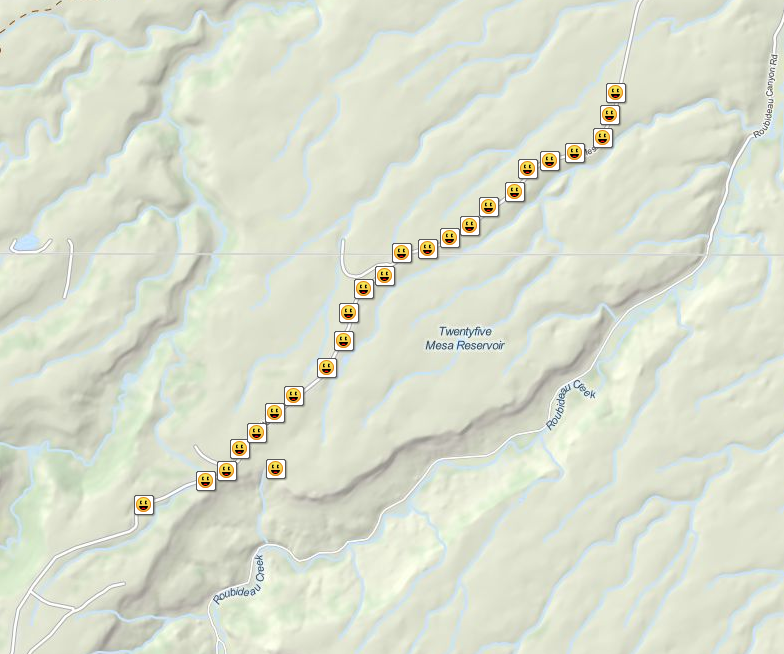 At first I thought about hiking this, but when I got out and found the first two caches I realized that they are all really close together, and all just off the road so I drove and picked them all up quickly! If you ever get out to the Delta Colorado area, I highly suggest you going for this run. You can knock them all out in about an hour or so. Geocaching for Preppers, by R.H.
One of the four basic items I always recommend having on you at all times is cordage. I accomplish this with my survival bracelet and my hat band! One other place I always keep additional cordage is on my feet! 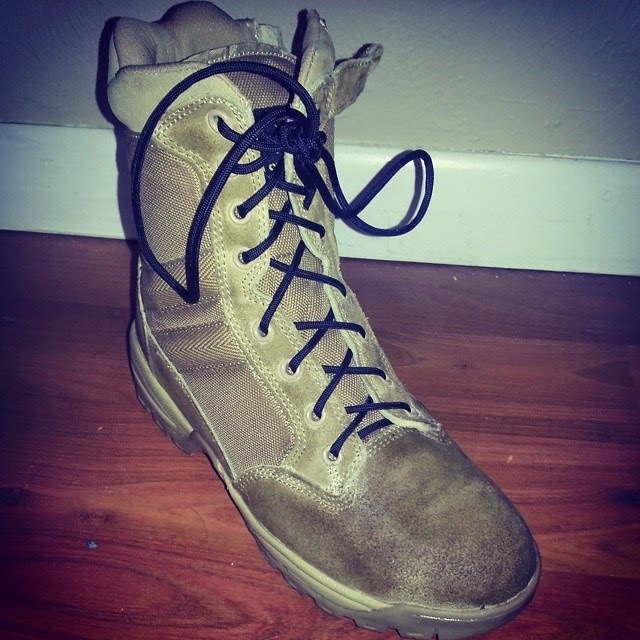 Whenever I get a new pair of hiking boots, one of the first things I do is replace the laces with 550 paracord. It insures that I will always have just that much more paracord when I'm off in the wild. Check it out! What is paracord and what is it used for? 550 Survival Cord bracelets and some fantastic uses!!! Last week I posted about how if you prepare even the slightest ahead of time you should never have to resort to making fire using one of the various fire by friction techniques you see on the popular survival shows on TV. 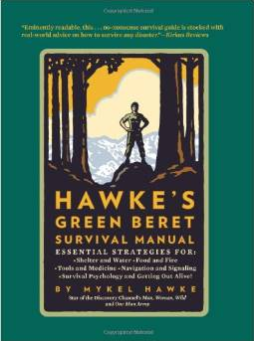 One TV survivalist actually agrees with me according to his book! ...The million reasons you should carry a lighter - or some other means of ignition - refer to the minimum number of strokes you will need to get a fire going when you have to resort to rubbing sticks together! He goes on to talk about how much actual work goes into rubbing sticks together to make fire and also warns that it is time consuming and can take a toll on both your physical and mental well being. Therefore he recommends going out prepared at all times, instead of having to rub sticks together. Long story short, if you find yourself in a situation where you have to rub sticks together to make fire then you "done screwed up" big time. As I mentioned last week, besides a lighter like Captain Hawke suggests, I also carry a mini fire steel on my key chain. It works in all weather conditions, even when wet! You should too! Stick + Sun + Shadow = A Compass!